Sports equipment, orthoses for the stabilisation of knee joints and structural components for aeroplanes should be lightweight and able to withstand considerable loads with ease. It is in lightweight structures made of fibre-reinforced plastic of this kind that filament sensors are going into use with the goal of enabling a cost-effective form of status monitoring. In the EFFI-Sens joint research project for Central Germany, interdisciplinary research is being completed into methods for the cost-effective use of sensors of this kind. Several partners from the worlds of science and industry in the German state of Saxony-Anhalt are also partaking in the development. Materials efficiency also means cost efficiency: the proportion of overall costs accounted for by materials in the manufacturing sector in Germany totals 35 to 55 percent. Materials efficiency saves fuel, reduces emissions and conserves natural resources. 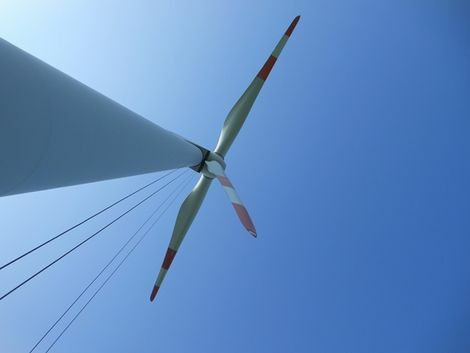 In this respect, fibre-reinforced plastics offer a huge potential, since they enable the manufacturing of customised components for aircraft, boats and passenger cars, for medical technology products and even for the rotary blades on wind turbines. “Not only should all parts of this kind be manufactured on a material- and weight-optimised basis, they also have to be able to withstand strong and fluctuating loads over long periods of time and must also fulfil their respective function securely. This requires the reliable status monitoring of the materials at the highly stressed locations,” explains Dr. Ralf Schlimper, leader of the Working Group for the Evaluation of Fibre Composite Systems at the Fraunhofer Institute for Microstructure of Materials and Systems (IMWS) in Halle. The EFFI-Sens research project of the SKZ Plastics Centre of South Germany (Forschungsvereinigung Fördergemeinschaft für das Süddeutsche Kunststoff-Zentrum e.V. ), funded by the German Federal Ministry of Economics and Energy, is rising to the challenge of the development of the appropriately intelligent materials. In this respect, scientists from the Fraunhofer IMWS in Halle, Saxony-Anhalt, the Fraunhofer Institute for Machine Tools and Forming Technology (IWU) with its locations in Dresden, Chemnitz and Zittau, and the SKZ Plastics Centre, at its location in Halle, Saxony-Anhalt, are combining their know-how. In the committee accompanying the project, medium-sized German companies from Thuringia, Saxony and Saxony-Anhalt are partaking in the further development of the fibre-reinforced plastics and putting the components and assemblies made from the materials to use. In Saxony-Anhalt, these include the innovative manufacturer of aerobatic aircraft Xtreme Air in Cochstedt and FVK Faserverstärkte Kunststoffe (fibre composite plastics) Dessau GmbH. In the EFFI-Sens project, the focus is on filament sensors on the basis of pseudo-elastic shape memory alloys in which, beyond the scope of the load itself, a reversible phase transformation and therefore a change in the shape of the material takes place. The sensors enable the load-oriented configuration and non-destructive testing of the components. The Fraunhofer IWU is a specialist in this field. “Through the phase transformation, a considerable change in the electrical resistance occurs. We can use this as a sensor effect for the measurement of expansions,” explains Dr. Thomas Mäder, leader of the sub-project at the Fraunhofer IWU. The Institute develops sensors, researches and tests the behaviour of differing alloys, provides sensors and installs them in prototypes. In the project, the Fraunhofer IWU is also developing processes for both the production and contacts of the sensors. The Halle location of the SKZ Plastics Centre is focusing on the technology behind the production of fibre composites and investigating how the sensors provided by the Fraunhofer IWU can best be connected to the fibre composite structure and the things that need to be considered in terms of the selection of materials. “Two approaches are possible, and research into both is taking place on simultaneous basis: the wires can either be inserted directly into the fibre composite structure during the production of the component or they can be applied to its hardened structure,” explains Dr. Jana Fiedler, leader of the sub-project at the SKZ. The samples to be produced are subsequently tested and analysed by the project group at the Fraunhofer IMWS with the goal of assessing the quality of the measurement signal: “It is necessary for the process to be reliable and reproducible. On the basis of the results of the measurements, an interpretation can be made as to what kind of load can be tolerated over a short period and when the load becomes critical, and what kind of signal should be sent to the user,” explains Marianne John, leader of the sub-project at the Fraunhofer IMWS. EFFI-Sens is one part of a major research project which is addressing the development of customised fibre composite structures along the entire value-added chain. The research also includes, for example, the DigiLab research project and the Materials Data Space initiative. At DigiLab, scientists from the Fraunhofer Institute for Applied Polymer Research (PAZ) in Schkopau are conducting research and development work into a virtual development platform for the formulation and processing of customised thermoplastics. The Materials Data Space initiative of the Fraunhofer Association, meanwhile, is focussing on the use of sensors in materials and production processes and the processing and evaluation of the huge volumes of data which arise as a result. Its goals include, for example, being able to forecast the structural behaviour of materials and components when they are in use, gaining a detailed picture of the state of the material throughout its entire life cycle, and the identification of original components. On the basis of these innovations, it is possible for components to be configured on a load-specific basis and tested on a non-destructive basis, and for considerable time savings to be achieved in the development periods for new products. In this respect, a high degree of cost effectiveness and safety are also manageable at the same time as the increasing customer demand for the individual components and the associated range of different versions on offer.